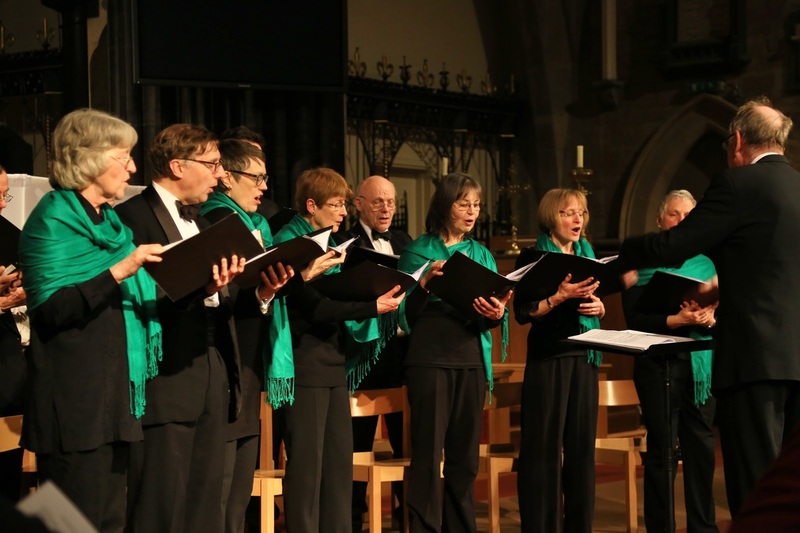 The Saint Martin Singers is a friendly small choir which owes its origin to a few fire watchers at the church of St Martin-in-the-Fields during the Second World War who made music together on the quieter nights. All our concerts are in aid of a charity chosen by our host church. We still retain a connection with St Martin-in-the-Fields, though we now rehearse in the neighbouring church of St Giles-in-the-Fields. We give about four concerts a year in London or country churches as well as one or two events around Christmas. Each concert has a ‘theme’ of words and music and the sung music is a cappella. Typically we would sing twenty pieces in a programme whilst the carefully chosen readings are given by professional actors who give their services free, as do the choir and conductor. We rehearse on the afternoon of the concert, with supper between the rehearsal and performance being provided for the performers by our host church. If you are interested, you can always come to a rehearsal to try us out. You would be very welcome. ​If you would like to get in touch, please click here.